He/she is over 18 years of age and resident in the United Kingdom (if you are not a resident of the United Kingdom, you must advise us prior to booking) and where placing an order for services with age restrictions declares that he/she and all members of the party are of the appropriate age to purchase those services. Our obligations to you will vary depending upon whether we act as a package organiser in the sale of a package holiday or as an agent to help you to arrange individual holiday products; our differing obligations are set out below, in three separate sections: Section A contains the conditions which will apply to all bookings. Section B contains the conditions which apply to agency bookings. Section C contains the conditions which will apply when you make a booking with us where we act as the package organiser. You will be required to pay a deposit or make full payment for your booking at the time of booking. Where you only pay a deposit you must pay the full balance by the balance due date notified to you. If full payment is not received by the balance due date, we will notify the supplier who may cancel your booking and charge the cancellation fees set out in their Terms and Conditions. Alternatively, where you have booked a package, you will be subject to our cancellation charges. See section C below. If you have any special requests (for example dietary requirements or room location), please let us know at the time of booking. We will pass on all such requests to the supplier but we do not guarantee that they will be met and we will have no liability to you if they are not. Adequate travel insurance is a condition of your contract with either us or the supplier in question, as applicable. You must take out a policy of insurance in order to cover you and your party against the cost of cancellation by you; the cost of assistance (including repatriation) in the event of accident or illness; loss of baggage and money; and other expenses. Failure to disclose relevant information will affect your insurance. If you fail to travel with adequate insurance cover we will not be liable for any losses in respect of which insurance cover would otherwise have been available. If you are booking a cruise, pregnant women are highly recommended to seek medical advice prior to travel, at any stage of their pregnancy. Women who are up to 23 weeks pregnant at the end of the cruise may be required to produce a medical certificate of fitness to travel. The relevant carrier may not, for safety reasons, be able to carry pregnant passengers of 24 weeks or more by the end of the cruise. The carrier reserves the right to request a medical certificate at any stage of pregnancy and to refuse passage if the carrier and/or the Master are not satisfied that the Passenger will be safe during the passage. All documents (e.g. invoices/tickets) will be sent to you electronically. If requested, they can be sent by First Class post. Once documents leave our offices we will not be responsible for their loss unless such loss is due to our negligence. If tickets or other documents need to be reissued all costs must be paid by you. You can ask for delivery by other means subject to payment of the necessary charges. We can provide general information about the passport and visa requirements for your trip, but this is for guidance only and it remains your responsibility to check the requirements before you travel. Your specific passport and visa requirements, and other immigration requirements, are your responsibility and you should confirm these with the relevant Embassies and/or Consulates prior to travel. Neither we nor the supplier accept any responsibility if you cannot travel because you have not complied with any passport, visa or immigration requirements. Most countries now require passports to be valid for at least 6 months after your return date. Where you have booked a package holiday with us, please inform the relevant supplier (e.g. your hotelier) immediately and by contacting us on the numbers listed on our website. If your complaint is not resolved locally, please follow this up within 28 days of your return home by writing to us giving your booking reference and all other relevant information. It is strongly recommended that you communicate any complaint to the supplier of the services in question without delay and complete a report form whilst in resort. If you fail to follow this procedure we will have been deprived of the opportunity to investigate and rectify your complaint whilst you were in resort and this may affect your rights under this contract. When we are acting as an agent, many of the travel arrangements that we sell are protected in the case of the financial failure of the travel company. Please ask us about the protection that applies to your booking. If you receive an ATOL Certificate then you will have ATOL protection. In relation to package holidays sold by us, the Package Travel Regulations require us to provide security for the monies that you pay and for repatriation in the event of our insolvency. We provide this security by way of an ATOL (number 10924) administered by the Civil Aviation Authority. When you buy an ATOL protected flight or flight inclusive holiday from us you will receive an ATOL Certificate. This lists what is financially protected, where you can get information on what this means for you and who to contact if things go wrong. ABTOT cover provides for a refund in the event you have not yet travelled or repatriation if you are abroad.  Please note that bookings made outside the EEA are only protected by ABTOT when purchased directly with Oxford Travel Collection. These terms and conditions are governed by English law and any dispute arising between the parties is subject to the exclusive jurisdiction of the courts of England and Wales (unless you live in Scotland or Northern Ireland, in which case you can bring proceedings in your local court under Scots or Northern Irish law, as applicable). This section applies to bookings we make for you when acting as an agent. When making your booking we will arrange for you to enter into a contract with the supplier named on your receipt. As an agent we accept no responsibility for the acts or omissions of the supplier or for the services provided by the supplier. The supplier’s Terms & Conditions will apply to your booking and we advise you to read these carefully as they do contain important information about your booking. Please ask us for copies of these if you do not have them. You may wish to purchase flights, a cruise, or other services on our website. Each component will be provided by different third party providers of the products you have selected. Your contract will be with the individual suppliers and not with us. Since you create your own travel arrangements by adding each component separately to create your own bespoke booking, this is not a package that we provide and therefore, unless the supplier provides such protection, you are not protected under the Package Travel Regulations (see section C below); and your booking may not benefit from ATOL protection either. Until a component has been confirmed by the individual supplier, no contract has been formed. Any cancellation or amendment request must be sent to us in writing, by email, fax or post, and will take effect from the day we receive it. Please ensure that you have received written confirmation of any changes to your booking prior to travel. Amendments and cancellations can only be accepted in accordance with the terms and conditions of the provider of your arrangements. The provider may charge the cancellation or amendment charges shown in their booking conditions (which may be as much as 100% of the cost of the travel arrangements and will normally increase closer to the date of departure). In addition we may ask you to pay an administration fee of £50 per person for any amendments. You will be notified of the exact charges at the time of amendment or cancellation and it is recommended that you contact us prior to amendment or cancellation in order to confirm the charges applicable. If you have paid a deposit, you must pay the full balance by the balance due date notified to you. If full payment is not received by the balance due date, we will notify the supplier who may cancel your booking and charge the cancellation fees set out in their booking conditions. In this event we will also charge you an administration fee of £50. Except where otherwise advised or stated in the booking conditions of the supplier concerned, all monies you pay to us for arrangements will be held on behalf of the supplier(s) concerned. When you book travel arrangements with us, you must pay either a deposit (the value of which will be confirmed at the point of booking) or the full balance of the total advertised price, if booking within 10 weeks of departure. Where you pay only a deposit at the time of booking, full payment is due no later than 10 weeks prior to departure. If you or any other member of your party decides to cancel your confirmed booking you must notify us in writing. Your notice of cancellation will only take effect when it is received in writing by us at our offices or by email. In cases of notification via e-mail, your notice of cancellation will only take effect when it is acknowledged by us. Since we incur costs in cancelling your arrangements, you will have to pay the applicable cancellation charges up to the maximum shown in the table below (the cancellation charge detailed is calculated on the basis of the total cost payable by the person cancelling excluding insurance premiums and amendment charges which are not refundable in the event of the person to whom they apply cancelling). It is unlikely that we will have to make any changes to your travel arrangements, but we do plan the arrangements many months in advance. Occasionally, we may have to make changes and we reserve the right to do so at any time. Most of these changes will be minor and we will advise you of them at the earliest possible date. We also reserve the right in any circumstances to cancel your travel arrangements. For example, if the minimum number of clients required for a particular travel arrangement is not reached, we may have to cancel it. However, we will not cancel your travel arrangements less than 56 days before your departure date, except for reasons of force majeure or failure by you to pay the final balance. Examples of “major changes” include the following when made before departure; a change of accommodation area for the whole or a significant part of your time away, a change of accommodation to that of a lower standard or classification for the whole or a significant part of your time away, a change of outward departure time or overall length of your arrangements of twelve or more hours. Examples of “minor changes” include the following when made before departure: any change in the advertised identity of the carrier(s), flight timings, and/or aircraft type; a change of outward departure time or overall length of your holiday of twelve hours or less, or a change of accommodation to another of the same standard or classification. (iii) for claims in respect of international travel by air and sea, or any stay in a hotel, the extent of our liability will in all cases be limited as if we were carriers under the appropriate Conventions, which include The Warsaw/Montreal Convention (international travel by air); The Athens Convention (with respect to sea travel); EU Regulation 392/2009 (relating to the Liability of carriers of passengers by sea in the event of accidents); The Berne/Cotif Convention (with respect to rail travel) and The Paris Convention (with respect to hotel arrangements). You can ask for copies of these Conventions from our offices. Please contact us. In addition, you agree that the operating carrier or transport company's own 'Conditions of Carriage' will apply to you on that journey. When arranging transportation for you, we rely on the terms and conditions contained within these international conventions and those 'Conditions of Carriage'. You acknowledge that all of the terms and conditions contained in those 'Conditions of Carriage' form part of your contract with us, as well as with the transport company and that those 'Conditions of Carriage' shall be deemed to be included by reference into this contract.